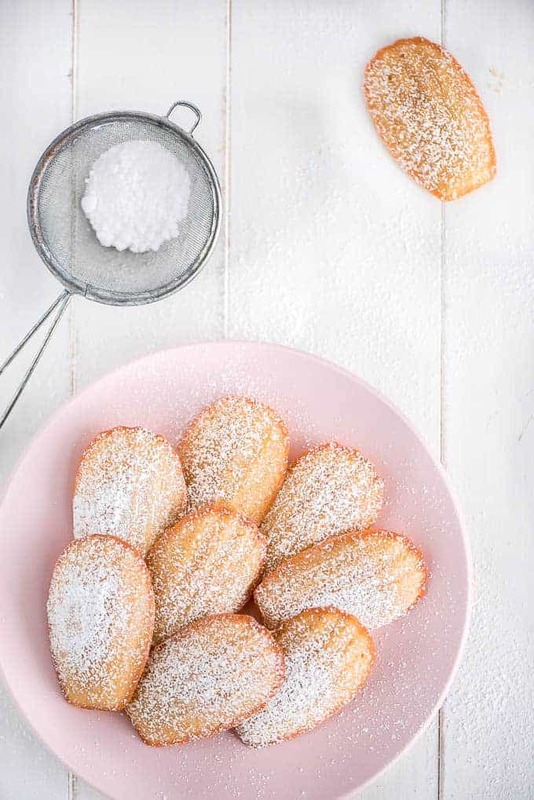 Madeleines are a delightful little French butter cake perfect for serving with tea or coffee. Their light sponge texture with crispy buttery edges makes them irresistible! For some reason, the French love their complex desserts. 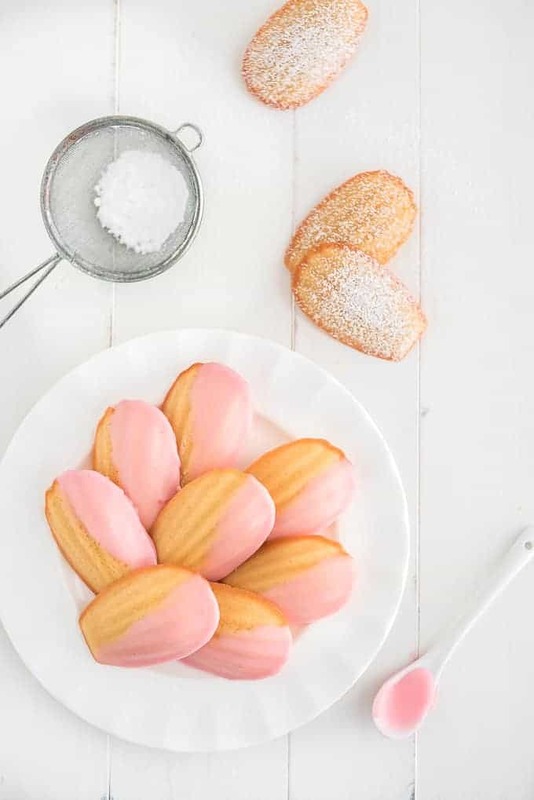 🙂 Macarons can be finicky but so can these little French butter cakes– Madeleines. 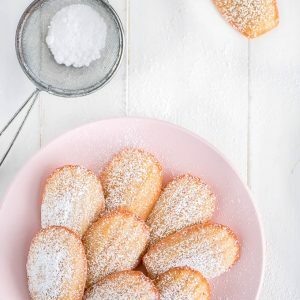 After spending days in the kitchen making countless batches of Madeleines, I created this easy recipe that will result in light, buttery, crispy-edged French Madeleines. By following this recipe and my tips you’ll nail these the first time and every time! Madeleines are little French butter cakes. 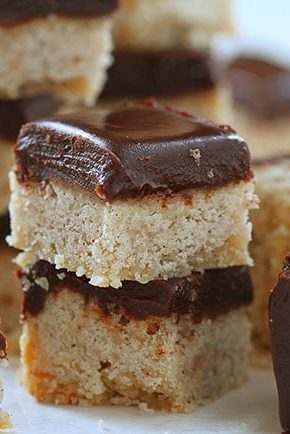 They are a simple sponge cake with only six ingredients. 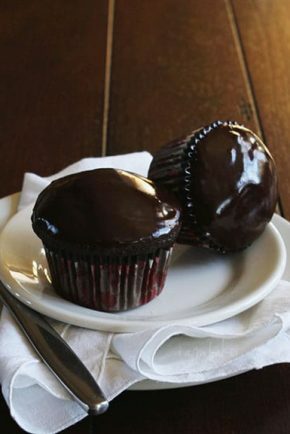 These little cakes are soft and light in texture but have slightly crisped edges that taste absolutely delightful. 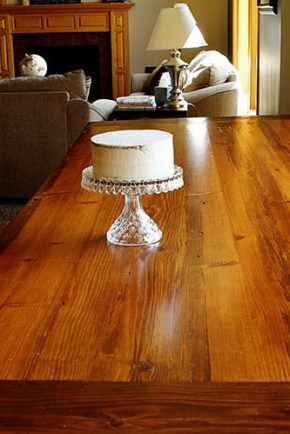 You can eat these cakes when they are completely cooled but are definitely best when still warm. You can flavor them with various extracts or add in some lemon or orange zest to change up the flavor. The first step is to set your eggs out a few hours before you are going to start. If you forget, a trick to bring eggs to room temperature is to set them in a bowl of warm water from the tap and let them sit for 10 minutes. Next, melt the butter. You need the butter to be liquid but you don’t want it hot so that is why it’s important to melt it before you start beating and mixing things together. The most important step is beating the eggs. You can use an electric hand mixer or stand mixer (you’ll be beating for 10 minutes so a stand mixer is preferred). Beat the eggs with the vanilla and salt until it starts to get bubbly. Then you can start pouring in the sugar a little at a time and beat for 5-10 minutes on high speed until the egg mixture becomes thick and pale. It should be thick and drop down into the bowl like ribbons. If you don’t get it to this stage your Madeleines will be dense and won’t have much rise. Next, sift the flour into the egg mixture in 3 batches, gently folding it in after each. You’ll then take about 1/2 cup of the batter and mix it into the cooled melted butter until thoroughly mixed. This step is crucial. The times I’ve made Madeleines and added the butter straight to the batter, I’ve had to mix the batter too much because the butter just kept sinking to the bottom of the bowl. By mixing the butter with some batter, you’re able to fully mix the butter into all the batter without beating out all the air you incorporated in. Some recipes say you can bake the cake right away, but I’ve done my own testing and the sweet spot is to cover and refrigerate the batter for about 1 hour. 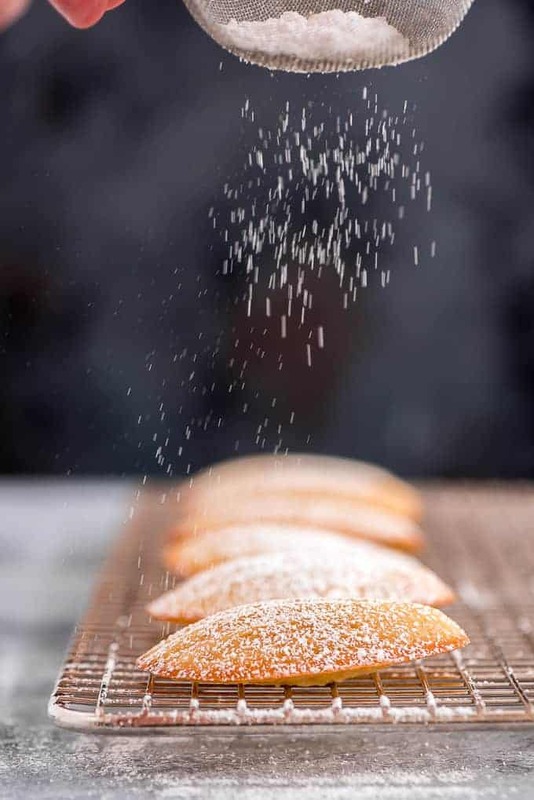 If you bake them right away they won’t form that large hump on top which is a signature quality in French Madeleines and also makes them airier and less dense. After the batter has been in the fridge for about 50 minutes you can start to preheat your oven and prepare your Madeleine pan(s). I’ve only ever worked with a non-stick Madeleine pan but it works beautifully every time. You’ll melt about 1/2 tablespoon butter in a small bowl and then brush it into the wells of the pan. Some recipes say to flour it as well but I have never found that necessary. Mine always slide right out with the butter and it gives it a yummy buttery taste and perfect crispy edge. Next, you can scoop the batter into the buttered wells. I prefer to do this with a cookie scoop so that they all are the same size. Pop the pan in the oven and bake for 11-13 minutes until the edges start to become golden and the tops spring back when touched. 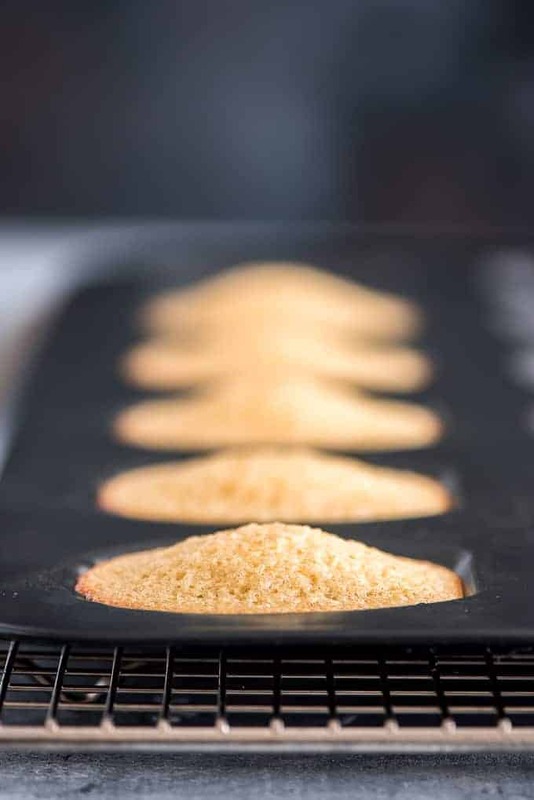 After pulling the pan out of the oven, flip the Madeleine pan over onto a cooling rack so they slide out and then sprinkle with powdered sugar. Alternately, while the Madeleines are cooking you can prepare a glaze to dip them in. This is the same glaze I use for my Strawberry Muffins and it is so yummy and of course pretty because it’s PINK! 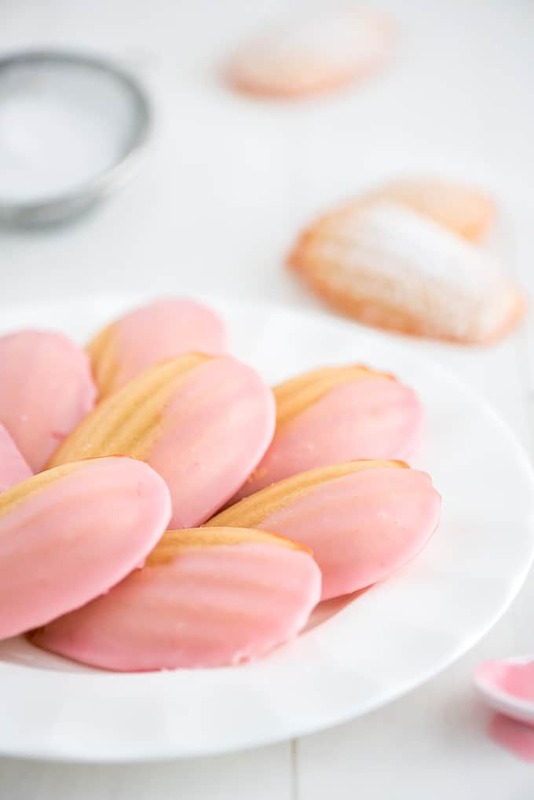 Madeleines are best eaten fresh and warm but are also good later to eat with and dip into your tea or coffee. Enjoy! Check out this VIDEO on how to make Madeleines! Meanwhile, beat eggs, vanilla, and salt with an electric mixer until light in color. Gradually add in the sugar and continue beating for 5-10 minutes until mixture is thick, pale, and drops down in the bowl like ribbons. Sift a third of the flour into the egg mixture, folding it in after each addition. Take about 1/2 cup egg mixture and mix it with the cooled butter. (This is important for adequately mixing in the butter into the batter.) 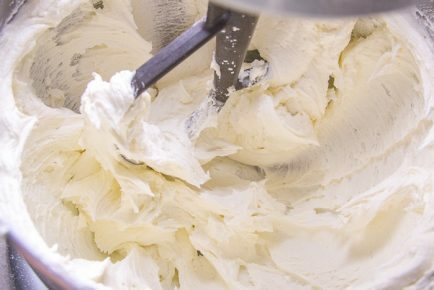 Mix this tempered butter into the rest of the batter, folding it in until combined. Cover batter with plastic wrap and chill in fridge for 60-90 minutes. Preheat oven to 350°F. 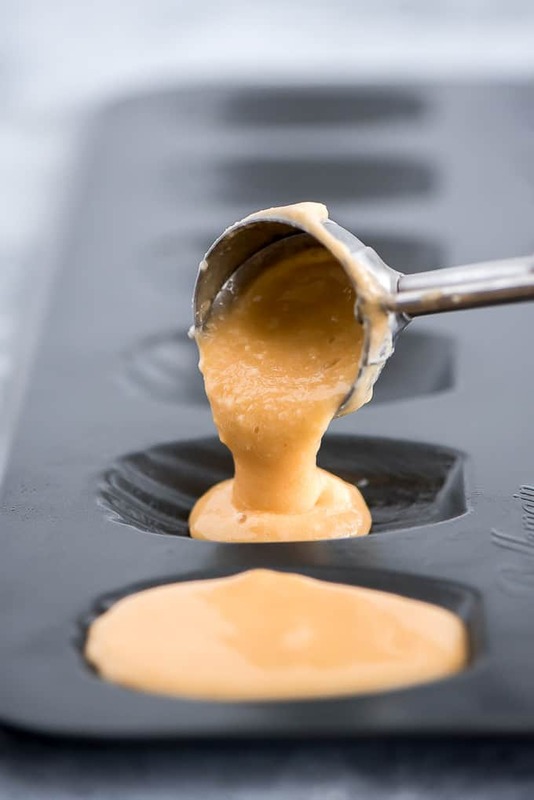 Brush molds with melted butter and then use a cookie scoop to drop the batter into the wells. No need to spread. Bake for 11-13 minutes or until edges start to lightly brown and tops spring back when gently pressed with your fingertip. Immediately remove from pan onto a cooling rack with the bottom ruffle edge up. Sprinkle with powdered sugar and serve. 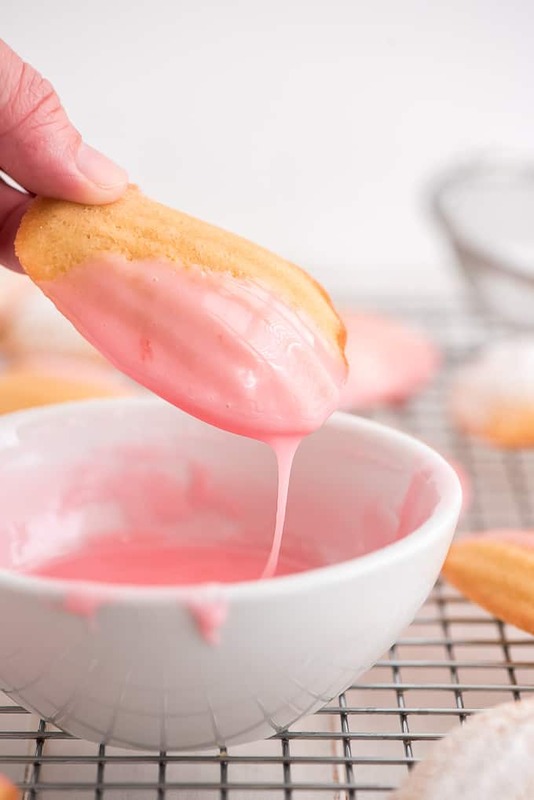 Mix all glaze ingredients together and dip warm Madeleines in. These look amazing! What size cookie scoop do you use? I can’t wait to try these! 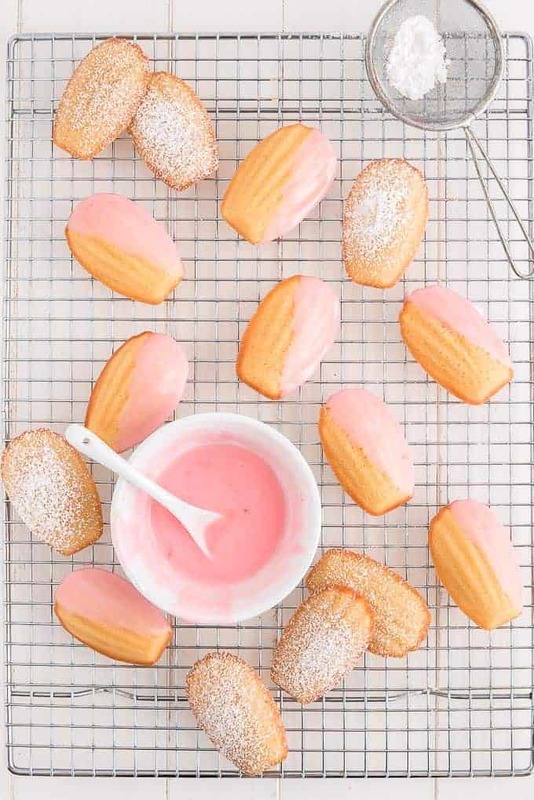 These madelines look wonderful. 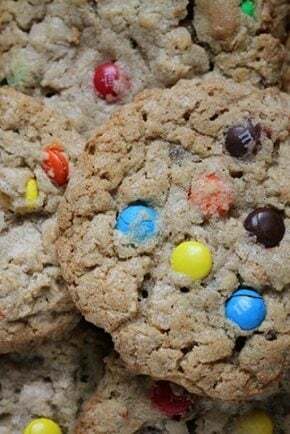 I’ve been baking them weekly for years and want to try your technique of really beating the egg mixture untill very thick. But I have a couple of questions. You don’t mention the use of any baking powder. It’s not needed? The other is your severing portion. My pans make a dozen and not twenty. 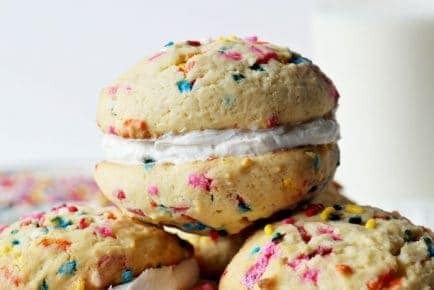 How would I increase the ingredients to make the full 2 dozen? Thanks for all the tips! You can tell that you really did your testing. I absolutely love Madelines. These look mind blowing….Just love those cookie.It looks so perfect for the holidays! I have a question, I’ve made these several times and although they come out perfect, the batter is very thick and quite difficult to get into the mold. Am I mixing them with the hand mixer too long? Hello, I am making these now, and found that my dough is pretty stiff going into the fridge. What can I add once it comes out from the fridge so it is at least a little runny?